Jarel Haines. Photo courtesy of North Vernon Police Department. 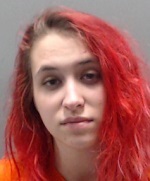 Two people were arrested in North Vernon in what police are calling a “substantial” drug arrest following a traffic stop Saturday night. The situation started at about 8:47 p.m. Saturday night when a North Vernon officer noticed a vehicle make a moving violation on Gum Street. After the traffic stop, the officer became suspicious of possible criminal activity and the department’s police dog Zobi alerted to the odor of narcotics inside the vehicle. A search allegedly revealed about 15 grams of methamphetamine in three bags. 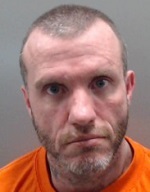 The driver, 41 year-old Jarel Haines of North Vernon, was also allegedly found to be carrying several small packages of heroin in his pockets. He was arrested and a search at the jail revealed another small bag of methamphetamine and a bag of pills identified as suboxone in Haines clothing. Ezra Engle. Photo courtesy of North Vernon Police. Haines and a passenger, 18-year-old Ezra Engle of North Vernon, were arrested on charges including dealing in a controlled substance.